Giving Tuesday 2018: Help us meet our $10,000 challenge! As Dorothy reminds us in The Wizard of Oz, there’s no substitute for home and family. And as we celebrate this Thanksgiving weekend, we are grateful for all of the people who have chosen to be part of our family here at the Croswell! Whether you’re an audience member, actor, orchestra member, or volunteer, you are part of the Croswell family. It takes all of us to keep this theater going. 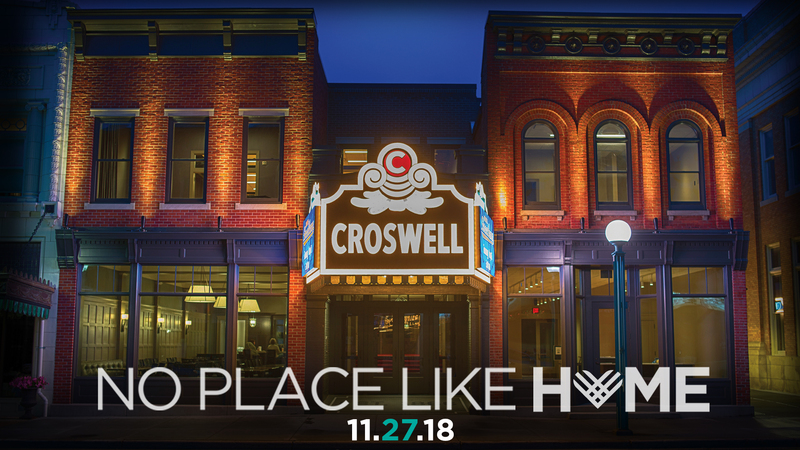 This season, to mark Giving Tuesday on November 27, several friends of the Croswell have teamed up to offer a challenge. If we are able to raise $10,000 by the end of the day on Tuesday, they will match that amount 100%. This means that every gift the Croswell receives from now until Tuesday will be doubled! Will you join us this Giving Tuesday to help keep the Croswell going strong? Giving online is easier than ever … just click here, and in a few short minutes you can make a big difference!